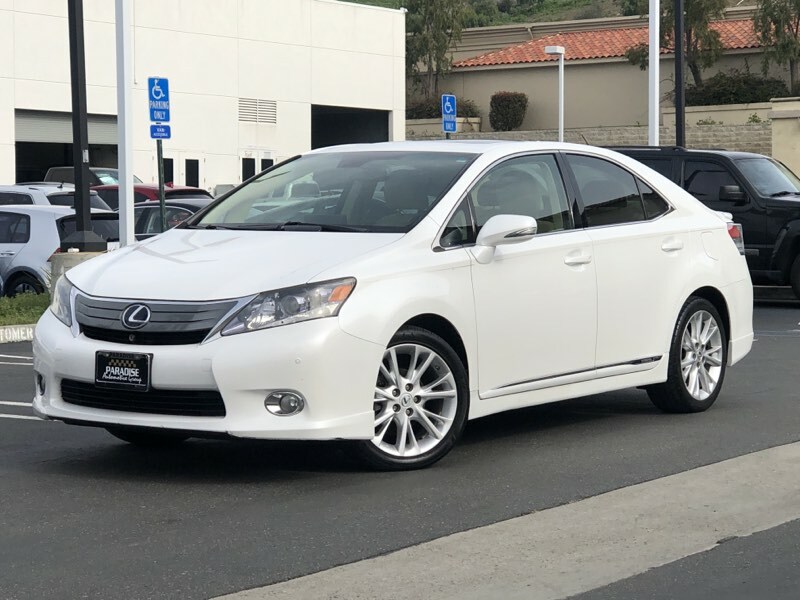 Take a look at our amazing 2010 Lexus 250h Sedan with Navigation shown proudly in Aurora White Pearl! Powered by a 2.4 Liter 4 Cylinder connected with an Electric Motor combination that delivers 147hp and is mated to a seamless CVT. This incredible Front Wheel Drive features an efficient electric motor which ensures optimal efficiency to earn you up to 34mpg on the open road. Slip inside the spacious 250h cabin, be greeted by leather heated/ventilated front seats that shine in the sunlight thanks to the power sunroof. Navigate the world around you with ease with an integrated GPS system as you turn up the premium sound system that comes complete with a CD changer and an auxiliary input jack. Continuing the green lifestyle, our Lexus Hybrid makes extensive use of plant-based, carbon-neutral ecological plastics, which are used to cover about 30 percent of the interior and luggage area. Lexus continues its luxurious namesake by providing you with an abundance of safety features. Brake assist, stability control, traction control, rearview camera, optimized crumple zones, and a small army of airbags keep you and your loved ones secure. This is a smart choice you are going to love for years to come! Print this page and call us Now... We Know You Will Enjoy Your Test Drive Towards Ownership!